We had April showers last weekend and cold, gloomy winter weather came back to haunt us for a day or two. Then Monday rolled around and the weather cleared up almost instantly. 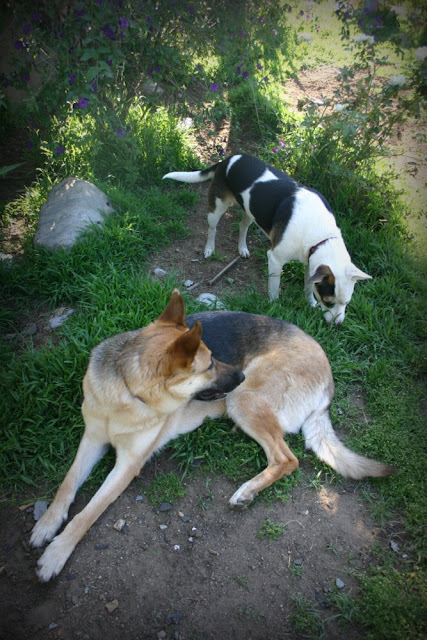 Today, we had sunny skies and warm summery weather so I sent the dogs out to play. 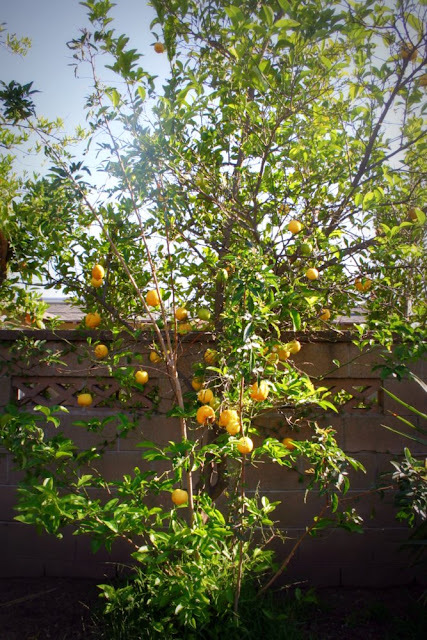 My lemon tree was practically bursting with lemons! I immediately plucked several of them and started thinking of how I could use them in a recipe for dinner. Since it was already late in the afternoon, it had to be a quick and easy recipe. I'd picked up a store bought rotisserie chicken earlier in the day so a lemony side dish would be fabulous. That's when I came across Mark Bittman's Lemon Rice recipe on Epicurious and without a second thought, whipped it up for dinner. It's extremely easy and so tasty and the kids raved about it. This side dish would also go extremely well with fish or seafood and is definitely perfect for hot, summer days. Just the name itself invokes thoughts of summer! 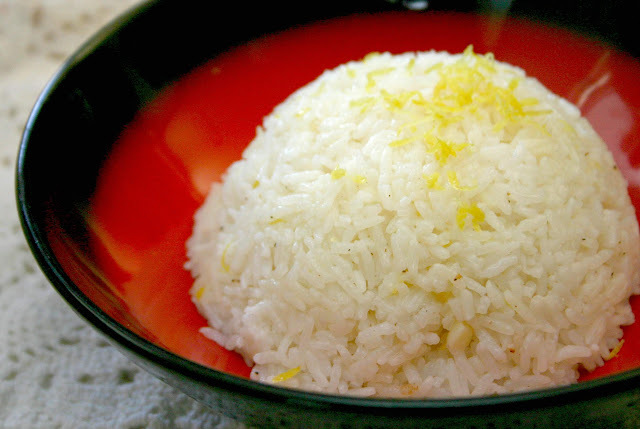 You know what they say when life hands you lemons...you make lemon rice too! Adapted slightly from Mark Bittman's recipe on Epicurious. Serves 4. Note: The recipe below contains exact measurements. However, I feel that this recipe should be adjusted to each person's taste. I did not use as much butter or lemon juice but added 1 tsp. lemon zest plus an extra teaspoon of minced garlic. I also added a couple pinches of salt. 1. Heat half the butter or oil over medium-high heat in a large non-stick skillet; when the butter foam subsides or the oil is hot, spoon in the cooked rice, tossing and stirring. 2. Season with salt to taste, lots of pepper, the garlic, lemon zest and most of the lemon juice. Cook, stirring frequently, for about 5 minutes, or until hot. Stir in the remaining butter or oil and cook for 1 minutes. 3. Remove the rice from the pan to a platter, add the remaining lemon juice and serve, with lemon quarters. 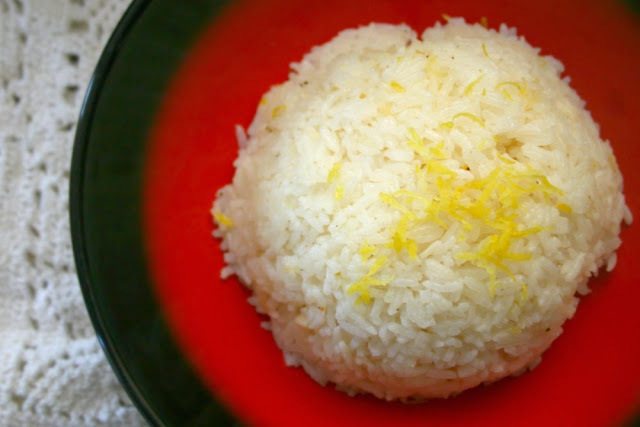 Lemon rice - zingy, buttery and garlicy! 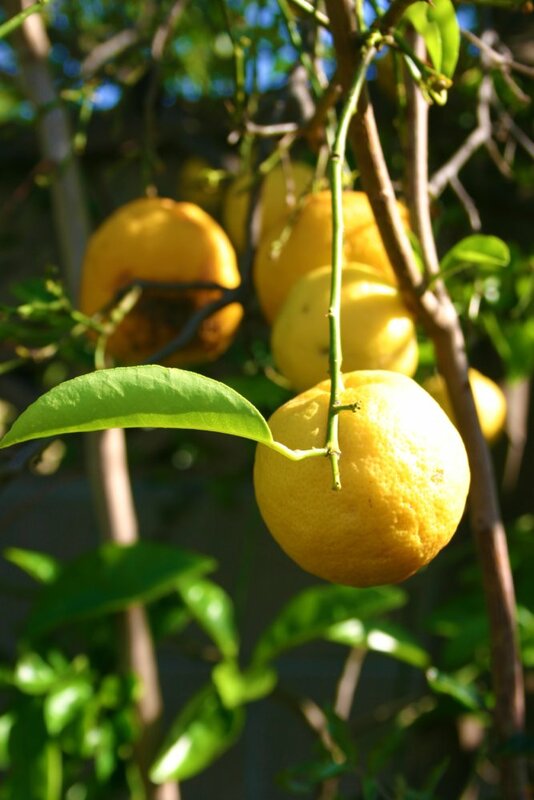 Lovely lemon tree! and an interesting rice..